We love finding the next best destination for students & teachers – and boy do we have a good one for you this week teachers! Last week, one of our colleagues came by our office to present Ecuador to the #Prometeam as a destination that is great for an educational tour and fitting for many different class curriculums. Offering a ton of hands-on experiences for those in Biology and Science; immersion programs for Spanish students, learning experiences for History students; as well as homestays and volunteering opportunities within indigenous communities for Social Studies or schools interested in humanitarian work; Ecuador offers a variety of learning and eye-opening experiences for all students and teachers alike. Don’t believe us? Scroll down to read 10 reasons why Ecuador is a great destination for students. 1) Good things do come in small packages. Although 33 times smaller than the United States, Ecuador is rich in both biodiversity and cultural diversity. Its size is a huge advantage for travelers because it makes going from one place to another extremely easy, more time efficient and budget-friendly. Traveling from the Amazon to the Andes is a two-hour bus ride at most, which is great for those who are looking to get the most out of South America within a limited time frame. We also suggest inte/educational-tours-for-students/student-tours-to-the-united-states/?utm=blogsrnal flights since they are inexpensive and extremely efficient for getting around. *Cough* the Galápagos Islands – we’ll get to that later. 2) Their biodiversity is next level. When it comes to biodiversity; the first country that usually comes to our mind is Costa Rica. However, Ecuador’s biodiversity is richer than Costa Rica’s. Ecuador is home to 22,065 species; while Costa Rica is home to 13,360. The country is home the largest populations of Mother Nature’s most unique plants, invertebrates, amphibians, reptiles, birds, fish and mammals per square kilometer in the world; it also takes the crown for being the second country with the highest diversity of endemic vertebrates. Along with their extraordinary biodiversity; Ecuador also shares the title with 17 other countries as a megadiverse country. 3) 4 Worlds in One Place – for you to explore. Ecuador’s motto; Four Worlds in One Place, is a beautiful connotation of how the country offers four different demographic regions for travelers to frolic about in. We know Peru offers an incredible 3, however, the advantage with Ecuador is how easily and much faster you can access all 4 in comparison to Peru (sorry Peru, we still love you!). Home to the Andean Highlands, the Amazon Rainforest, the Pacific Coast and the famous Galápagos Islands; each region has something incredible to offer every student and teacher. From different families of fauna, vegetation and other wild nature treasures; an adventure throughout Ecuador truly feels like one is leaving and entering different worlds. While each region features unique biodiversity and topography; they equally reflect the country’s rich cultural diversity as well. Ecuador is renowned for preserving its historical and cultural patrimony; and the country is a representative for multicultural harmony which embodies African, Indigenous and Spanish cultures. Ecuador offers eye opening and life changing cultural immersions with indigenous communities whose traditions continue to be strongly practiced in the Ecuadorian culture today. We highly suggest including Quito and Cuenca for such cultural experiences; as students and teachers are welcomed with open arms by those in the community. 5) Home to one of the first places that were ever declared as a UNESCO site. With little alterations ever made; Quito is the largest and best preserved historic center in the Americas; it is also the most important colonial center in Latin America. The capital of Ecuador, Quito was the first place to ever receive a UNESCO status along with the Kraków in Poland; making it all the more reason to visit. One of the must do things to experience in Quito (and by far the coolest); is to stand at the Ciudad Mitad del Mundo which marks the equator and the Middle of the World. Fun fact, Ecuador means the Equator in Spanish! Also, don’t forget to bring an egg before visiting so you can run an experiment with your students in seeing if an egg will really balance. 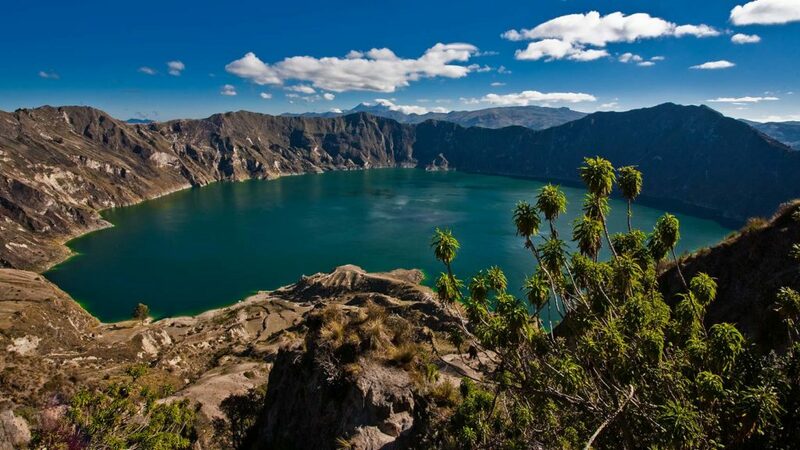 Ecuador is home to 14 different languages and many more dialects! Furthermore intensifying the cultural immersion you and your students can expect when roaming the markets of beautiful handmade goods for your loved ones back home. There’s really no better way to have your students brush up on their Spanish than within a Spanish immersion environment. 7) Home to the amazing Galápagos Islands. Where to even begin with the Galápagos Islands…An archipelago of 19 volcanic islands, the Galapagos Islands are home to some of the most incredible endemic species on Earth which were studied by Charles Darwin during the voyage of the Beagle to build his theory of evolution. A UNESCO World Heritage Site since 1978, it is the second largest protected Marine Reserves in the world after Australia’s Great Barrier Reef. After the islands were listed on UNESCO’s List of World Heritage in Danger and then removed; Ecuador implemented conservation efforts in order to keep this gem of Mother Nature out of harm’s way. In 1959, the Galapagos Islands became Ecuador’s first national park; in the same year, the Charles Darwin Foundation was founded and together both research personnel continues to work together in conservation programs aimed to protect endangered species on the islands. 9) Spring weather all year round – there’s never a bad time to travel. You know there’s usually a good time to travel to certain destinations whether it be shoulder weather in Europe or milder temperatures in Asia; when it comes to Ecuador all year round is a great time to experience the country. Ecuador only really has two seasons; rainy and not rainy seasons, however the two interwebs each other more often than not making it destination for you to enjoy year round. 10) Still a hidden paradise. Despite these 10 reasons; Ecuador remains to be one of Latin America’s less-traveled countries and a hidden traveler’s paradise. It won’t be long until a word catches on and more travelers start drinking the kool-aid; realizing all the great things Ecuador has to offer. All this to say that now has never been a better time to start working on planning your next trip to Ecuador.